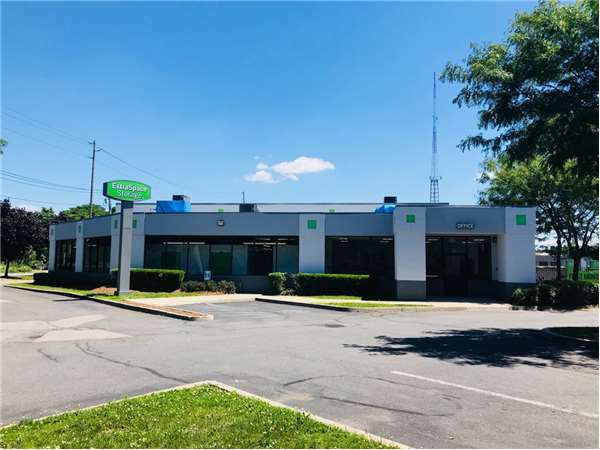 Located at the corner of Expressway Dr S and Crooked Hill Rd just off I-495, Extra Space Storage serves residents of Brentwood, Dix Hills, Commack, and more. Locals will recognize our facility about a few minutes south of Lowe's and Costco. Extra Space Storage on Expressway Dr S offers a wide selection of storage units, climate-controlled storage, vehicle storage, and exceptional security. We're your go-to storage solution in Brentwood! Our Brentwood storage facility has units as small as 3x5 and as large as 10x25 with features like drive-up access, elevator access, and more! We have the space that's perfect for you! With advanced security measures like individually-alarmed units, electronic gate access, and 24-hour video surveillance, you can confidently store valuable items at Extra Space Storage! Worried about storing temperature-sensitive items? Units with climate control maintain a comfortable environment between 55? and 80? year-round, preventing damage caused by extreme heat and cold. Climate-controlled units are available in sizes 3x5 to 10x20. Need to store a vehicle in Brentwood? Extra Space Storage has 8x20 outdoor parking spaces and 10x10 to 10x25 enclosed drive-up units that can handle everything from small motorcycles to large RVs. With a well-maintained, clean, secure facility and a friendly, professional staff, Extra Space Storage is the self storage partner you can count on. We go the extra mile to ensure our customers have an excellent experience with us. If you have any questions, reach out! We're more than happy to help. Contact us today to reserve a storage unit in Brentwood! I haven't had any problems, but then I just moved in. I hope they don't jack the rates up, like it says in some of the bloggs. If so, I will find another place. Staff are very friendly and helpful. Facility is clean and well maintained. Price is great for the level of service. Convenient drive up unit can’t be beat. They made it very easy. Good value. Clean. Nice people. Facility was clean, secure and well lit. The customer service was excellent. The price was reasonable. The leasing process was easy and convenient. The rental unit was clean and inviting, I felt safe walking within the storage facility. I recently rented a storage unit here. The paperwork was quick, no more than fifteen minutes. The facility was very clean and convenient to get to, being at the intersection of Sagtikos and the LIE. The employees were friendly and followed up by phone to see if I'd had any problems or questions while moving in. I was VERY grateful they had a bunch of dollies available to use while moving. That and the elevator made the process quick and painless despite having some very heavy furniture. The only problem is that their gate is currently broken. They're in the process of having one fabricated and installed, so it will be working again soon, but it did give me a little pause before renting. I would definitely recommend this location (especially if you take advantage of the web specials). This facility is a very clean and safe place to store your important belongings. The staff is very friendly and knowledgeable when it comes to any questions or concerns you may have. The hours of operation are very convenient being available seven days a week. I would recommend this facility to anyone looking for storage. The accommodations are satisfactory. The price isn't too bad given the competition. It is serving my needs currently. This facility is right off 495. EZ to get in and out, just dont use Mapquest to get there. NICE FACILITY, but prices go up all the time for no reason and with very little advance notice. The convience is great. jimmy n ryan r rear great guys r always helpful. The facility is fine and the manager is excellent. The only thing I do not like is the automatic price increases. 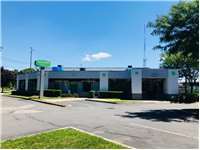 Property is located on the corner of Express Drive South and Crooked Hill Road. South of the LIE / Route 495 overpass. Drive south on Commack Rd. Pass Walmart and continue straight on Commack Rd. Turn left onto Express Dr S. Our facility is on your right, immediately before Crooked Hill Rd. Drive north on Sagtikos Pkwy. Take Exit S1W to head toward I-495 W. Merge onto Long Island Expressway North Service Rd. Turn left onto Commack Rd. Turn left onto Express Dr S. Our facility is on the right, before Crooked Hill Rd. Drive west on I-495. Take Exit 53 to head toward Kings Park. Merge onto Long Island Expy N Service Rd. Turn left onto Commack Rd. Turn left onto Express Dr S. Our facility is on your right. Drive east on I-495. Take Exit 52 to head toward Commack Rd. Merge onto S Service Rd. Continue straight onto Express Dr S. Our facility is on your right, immediately before Crooked Hill Rd.